Whimsical! 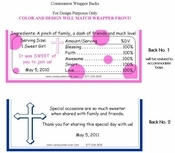 That's the perfect word to describe this First Holy Communion Candy Bar Wrapper! With all the pretty colors this chocolate wrapper will make any party festive! 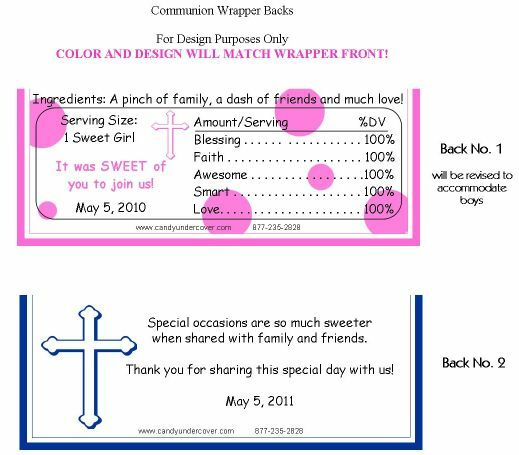 Complete with your child's name, and date of Communion, these make a great First Communion Party Favor!